Beagles and Bargains was started to document my journey as a first time pet parent including the decisions and mistakes I have made along the way, but I have realized that I haven’t really covered where it all starts. 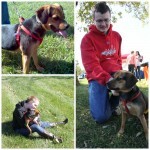 The decision to bring a new dog into your family and the required preparation. This post will in no way cover everything you need or could do to prepare yourself for a furry friend, but it will cover the few things I found important. Everyone is different, so I asked my boyfriend for a bit of help on this one. Most of these points will speak to pet adoption, but a lot can apply if you are getting your dog from a well respected breeder too. Before you head home with your new dog, ask questions. Try to get as much information from the rescue as you can. I would really suggest asking as many questions as you can even before you arrive to pick up your new dog. How do they sleep? What do they eat? Do they have any allergies? What do they like to play with? Are they affectionate? Do they have a lot of energy? The list goes on and on, but in this case more knowledge is better. You do not have to do everything exactly as it is being currently done at the rescue or foster, but understanding them can help to reduce the amount of initial change you throw upon your dog. The first photo I took of Luna, right before we went home. Expect that not everything will go as planned. You can prepare all you want, but dogs have minds of their own and you are introducing them into a new environment. You can clean up your entire home, but they might still find something to chew. You’ll find that dogs who are already potty trained may have accidents. And, personalities may appear different in a home environment than they seemed before. Just stay on your toes, hang on tight, and enjoy the ride. Protect your valuables. Yes, you should expect the unexpected, but also think ahead. If I were a puppy, what would I chew? Where would I pee? 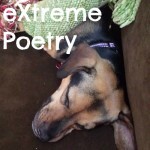 And even if you don’t think your dog is going to chew up your Kindle. Protect it. Actually, just hide anything you would be very sad that they chewed up. I’ve learned that if the thought even crosses your mind that your dog might destroy something, you should put it away. I’ve lost a few pillows and remotes for being too trustworthy. Don’t splurge or buy in bulk right away. You have no idea how destructive or picky your new dog might really be. Luna went through 4 or 5 different dog beds before we figured out just why she was destroying them, so a fancy expensive dog bed was out of the question. In fact, we are just now on the market for a nice quality dog bed because I finally trust her not to eat it. Luna destroys another bed. Maybe she wanted it to snow? You also might not know anything about your dog’s allergies or preferences at the start. It would be a shame to buy dog food and treats in bulk just to find out that your new dog can’t or won’t eat it. If that does happen, please donate what you can’t use. Be creative. Solve problems. Sometimes perfect pet solutions don’t come from pet products. Luna destroyed at least four plastic crate liners, while we were attempting to crate train her. Although crate liners aren’t too pricey, the need to continually buy a new one was. That’s where industrial sized baking sheets came in. They were just slightly smaller than the liners and were completely made of metal. 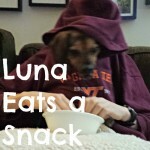 Good luck destroying that Luna. (Wait, I take that back.) Plus we got two for only about $25. We already used a blanket or bed in the crate, so I wasn’t worried about the metal being too cold or uncomfortable. 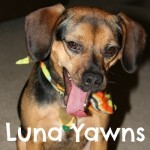 Want to know why Luna broke so many crate liners? Lesson learned. 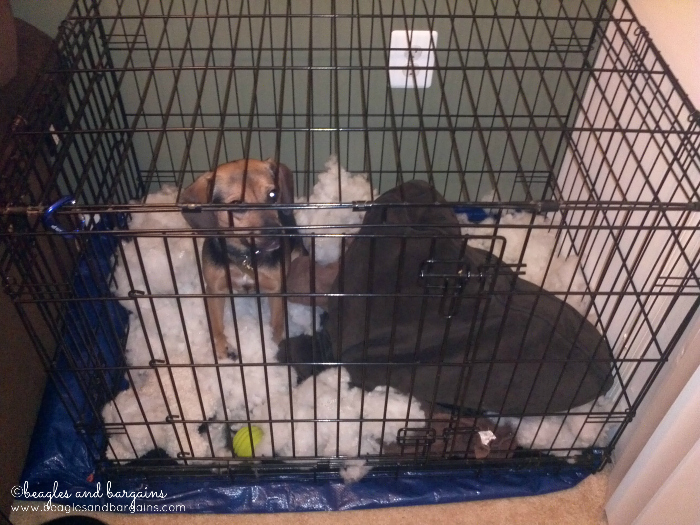 Don’t put a blanket or tarp underneath a dog’s crate. It may cause more problems than any floor damage from the crate. Stock up on the necessities. You don’t want to have to run to 100 different stores the day you bring your new dog home, so do it before hand. 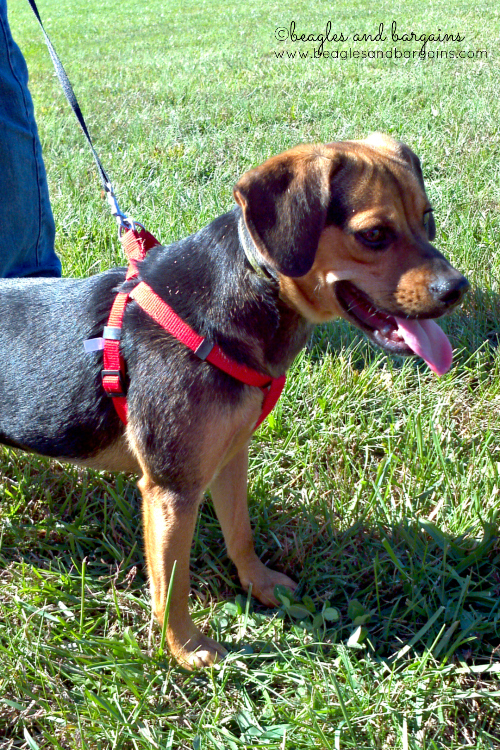 Pick up a leash (preferably not a retractable one) and collar. I suggest getting collars of multiple sizes or measuring ahead of time that way you can make sure you get the right fit. You can return the one that doesn’t fit. Get an ID tag made ahead of time. You can order one online or get one made at many local pet stores. A harness might be a good choice as well, but again you might need more than one size. Be prepared with food and a few treats. Decide ahead of time if you want to crate train. If so, start with a crate right away. Luna plays with her KONG on her first day home. Her soft toy is in the back. Set up a special place for your dog. It is important to have somewhere quiet that your new dog can go if they are feeling overwhelmed. I suggest picking up a bed and/or blanket, so that they have somewhere comfortable to lie down. I would also select a few different toy options to see what they enjoy playing with. Perhaps a soft toy, ball, chew, and food dispenser (KONG or similar) to start. Let your boss, family, and friends know what is coming. We already know that unexpected events may arise, so it is good to give anyone you may depend on a heads up of the change. If you do have family members who will be responsible in anyway for the care of the new dog, be sure everyone is on board and ready to take on the responsibility. Understand that complications may arise. A dog who is crate trained may hate their crate. A dog who is potty trained may pee inside. 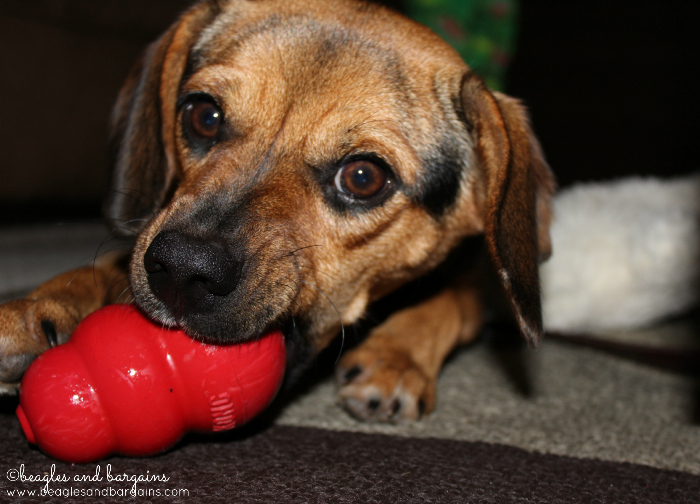 Your dog may chew everything. All of these are manageable and trainable, but as much as I hate to say it there is a chance that you and your dog may not be the right fit. Be dedicated to solving problems, but be logical. There was a time when I thought Luna and I might not work out. She had broken out of her crate and caused hundreds of dollars in damage to my apartment. I called the rescue and expressed my concerns. I did not want to give up, but I knew I couldn’t afford more destruction. I vowed to give us one more chance and took a huge risk to trust my super destructive dog to stay home alone NOT in a crate. Counter intuitive right? Well it worked. 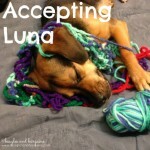 Luna’s separation anxiety was heightened when she was in a confined place like a crate. I still may have lost a few newspapers and pillows, but the last time we needed the carpet replaced was because I flooded our apartment and not because Luna was anxious. Introduce them to their new home. Take things slow. Show them around. Let them explore and sniff as much as they want, but keep an eye on them so they don’t get into trouble. Take photos. You’ll want to remember that first day, especially if your new dog is a puppy. But don’t hide behind the camera. You just got a new best friend. Enjoy every moment of it. 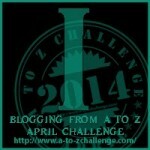 You can find all my A to Z posts here in case you have missed any. What did you learn by adding a new pet to your family?